The exterior environment impacts on our very being, which has led to greater emphasis on landscaping and gardening. Domestic and corporate landscaping has the capacity to lift our mood and present an image. Against that backdrop, Trade Fabrication Systems can provide the components needed to create the right setting for private and public spaces. TFS has extensive experience in the application of slip resistant coatings. 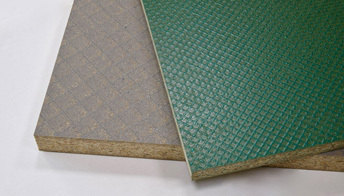 This now encompasses anti-slip temporary overlay systems utilising exterior grade plywood. This is particularly suitable for public walkways that may also be exposed to the weather. It is also ideal to protect garden or landscaped areas during construction work. The natural appearance of timber is timeless. TFS decorative coatings include options for the exterior environment. 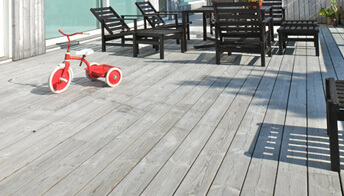 TradeDek AS is specially formulated for decking and is independently certified to achieve a low slip potential in both wet and dry conditions. TFS also offers a range of preservative coatings including SiOO:X. This avoids the damaging effects of the weather, sunlight, fungal penetration and decay.